A stunning contemporary 4 bedroom villa situated in a much sought location just a short walk from a local supermarket, bars and restaurants. Beautifully presented, spacious, ultra modern, features include good sea views, fabulous poolside BBQ / bar, pool table and ample outdoor seating for dining and relaxing. All of the bedrooms have air conditioning, WiFi internet and UK FreeSat television channels are also provided. 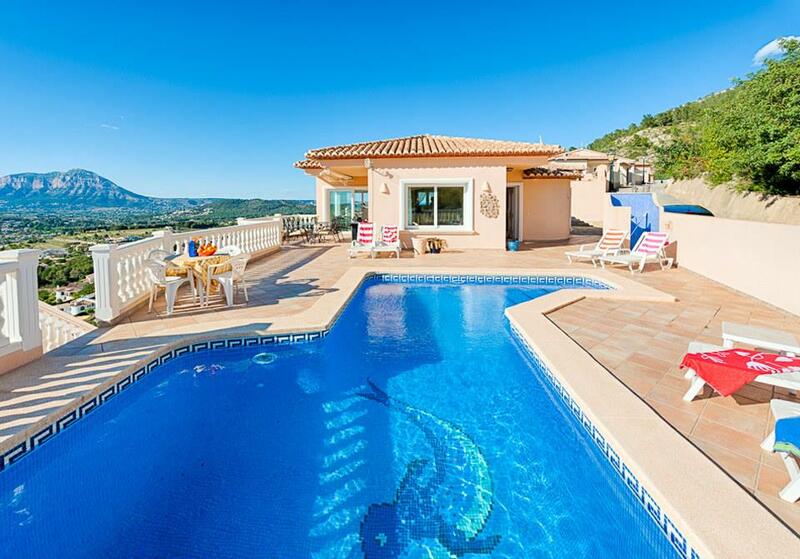 One of our finest villas on the Costa Blanca. 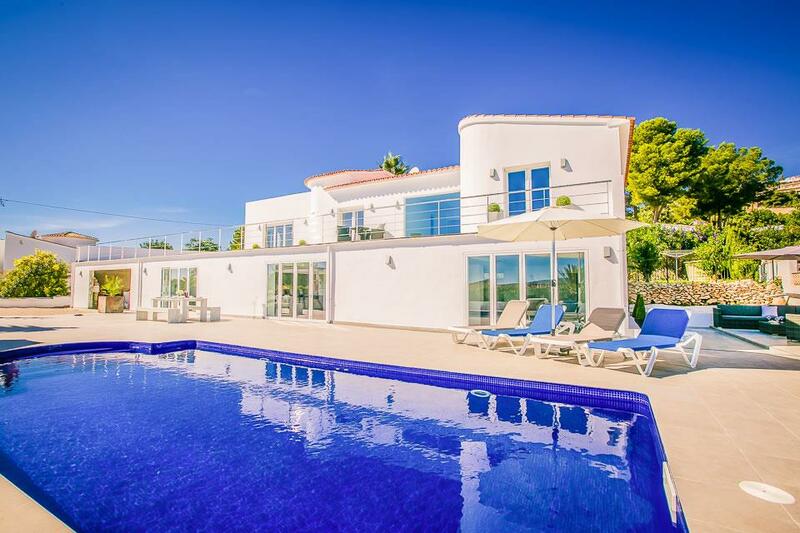 Casa Cruz is a modern villa that offers spacious open-plan living in a peaceful and tranquil residential location that is conveniently situated close to the centre of Moraira and the great choice of shops, restaurants and bars available. A good local supermarket, bars and restaurants are within less than 10 minutes walk of the villa and the centre of Moraira and main beach is approximately 25 minutes walk (5 minutes drive) away. Ultra modern impressive pool terraces surround the beautiful 8m x 4m pool with a choice of great choice of seating and sunbeds. Adjacent to the pool is a new poolside bar / Summer kitchen with integrated barbecue and bar stools. A good quality outdoor 7ft American style pool table is also provided. Sea & valley views that include a birds-eye view of Moraira town and are particularly good from the upper floor terraces and bedrooms. The internal accommodation is very well presented with high quality fixings and furnishings, the main living space is very large open-plan with the a luxury kitchen at the far end of the space and open glass / chrome staircase in the centre of the living space. Comfortable leather sofas are provided and a large LCD television offers all the UK FreeSat channels. WiFi internet is available throughout the villa. Upstairs all four bedrooms are spacious and air conditioned, three of the bedrooms offering patio doors directly onto the upper terraces where further seating is provided. Highly recommended. On the South-facing front of the villa, a graveled drive leads from the private gates on to the private terrace with an outdoor kitchen area with ample out door eating and seating areas, with the private 8m x 4m swimming pool at its centre. This large terrace area has 3 sets of bifold doors leading to the lower accommodation leading into a very large, modern, open-plan dining room / lounge / kitchen area. The villa has a very well-equipped and modern kitchen with electric hob, electric fan oven, fridge/freezer, microwave, coffee machine and dishwasher. The comfortable living area features LED television with UK FreeSat channels & DVD player, air conditioning & also WiFi internet that can be used throughout the villa. The unique staircase leads up to the first floor which has a magnificent panoramic window to show off the breath taking views of the Mediterranean. The first floor offers a total of four large spacious bedrooms and three bathrooms. There are two double bedrooms each with built in wardrobes and air conditioning. One of the two double rooms has a modern high spec en-suite bathroom. The master bedroom features king size bed, air conditioning and built in wardrobes with its own high spec en-suite bathroom. The fourth bedroom offers twin single beds, and also features air conditioning and built in wardrobes. This twin bedroom and the second double bedroom share the beautiful and very large main bathroom with a contemporary bath. The king size room, and the two double bedrooms have the luxury of their own bi-fold doors opening out onto the huge upper terrace which offers seating so you can make the most of the views! To the right of this upper terrace there are set of spiral stairs, which leads to a small terrace, with views that are breath taking. Most of the windows and sliding doors feature sliding mosquito nets. Outside the large, minimalist gardens features palms, and pretty flowers. At the front of the villa, there is space for up to 4 cars to park and the stunning pool-side area features a 8x4 pool, six sun loungers and shaded outdoor kitchen, a pool table and seating area still in view of the pool and plenty of seating for Al Fresco dining. 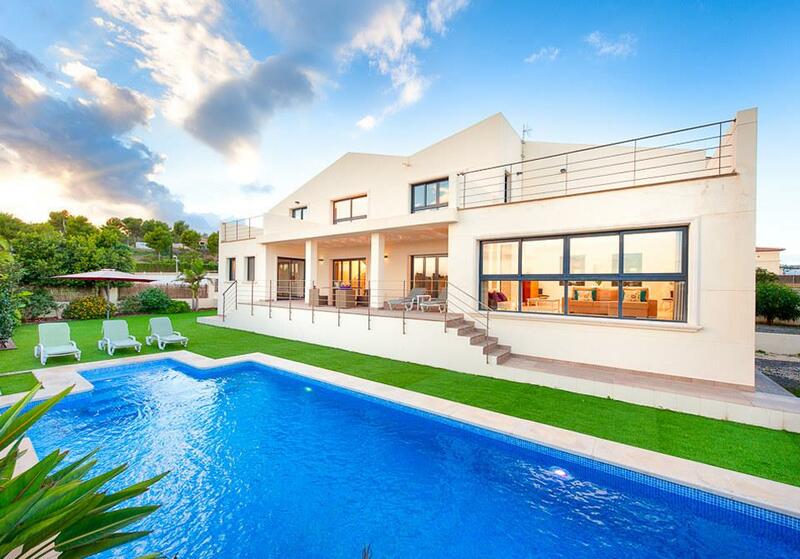 This villa is Stunning. 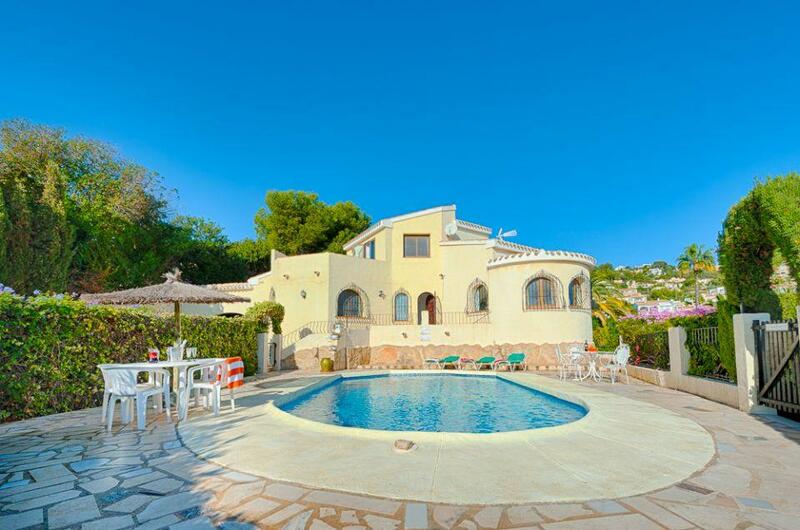 Fantastic holiday, we've been to Moraira for many years and stayed in a variety of villas. This was by far our favourite.